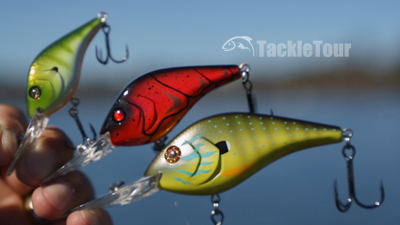 Introduction: Deep diving crankbaits of recent vintage have taken on a new profile as is witnessed by our L.O.U.S. (lures of unusual size) series. Berkley bucks that trend and goes in the opposite direction with a pint sized crankbait they've engineered to reach depths in excess of twenty five feet! Today, we take a look at this new-to-us crank. 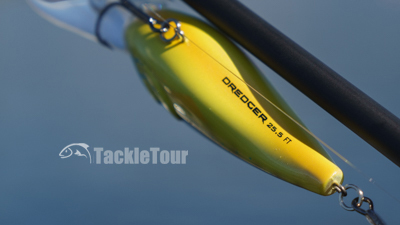 Introducing Berkley Fishing's Dredger Crankbait. 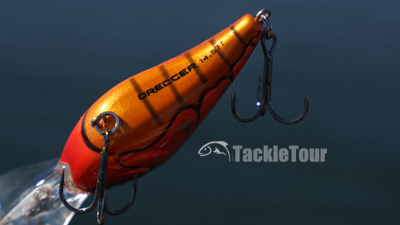 Introducing Berkley Fishing's Dredger Crankbait. Impressions: Berkley's Dredger crank features a traditional crankbait profile but with the added feature of having a weight molded into its diving bill. This bill supposedly helps the bait reach. 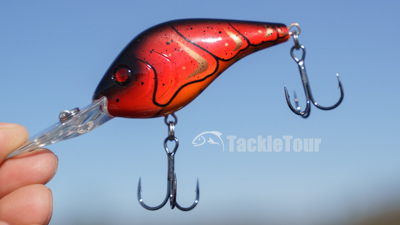 The bait's body includes molded gill plates and very detailed color schemes. Each bait comes with Berkley's own brand, Fusion19 hooks with size varying according to the bait size. The Dredger features a somewhat traditional profile. Real World Tests: It just so happens we had some new cranking rods and reels to test when we discovered Berkley's Dredger Crank. While I did fish these cranks on a couple different rods and reels, my primary combo of choice for was Abu Garcia's new Revo4 X-Winch matched with the Veritas VTSCW-76-6 Winch Cranking Stick. For these tests, I had the Revo4 X spooled with 50lb Daiwa x8 JBraid topped with a leader of 10lb Sunline Sniper Fluorocarbon. We tested the 8.5, 14.5 and 25.5 models. But with the added twist of a weighted diving bill. Castability: All three sizes of these baits casts really well with the 8.5 leaving the biggest impression simply because small cranks are more difficult to cast. The Dredger benefits from some internal rattles that no doubt shift the bait's momentum into the direction of the cast, but when you hold the baits in your hand and shake them around to get a sense of how much weight these internal bearings possess, you can barely feel them in the 8.5. Berkley has done a nice job ensuring even the smallest version of the Dredger casts well. The 25.5 model is rated to depths in excess of 22'. Shifting to the opposite end of the spectrum and shaking the 25.5 model of the Dredger and you can certainly feel the internal bearings moving around. This bait has some mass to it and as one might expect, the largest version of the Dredger is also the easiest to cast for distance. This is especially true when using such a long cranking stick. 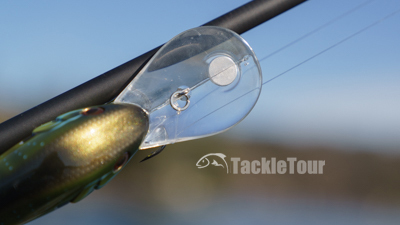 That weighted diving bill helps position the bait into optimum diving position as soon as the bait hits the water. Dive Time: Unlike other cranks we've seen with weighted diving bills, I think that little weight that rests inside the bill of the Dredger simply helps to position the bait in optimal diving position rather than pull them down. The size of the weight wafers are pretty small. The 14.5 is a good choice for mid depth water (12-15 feet).